In Denmark, insurance litigation usually comprises coverage disputes (i.e., disputes between the insurers and the insured) and defence instructions (i.e., disputes where the insurers instruct the counsel to defend the interests of an insured or claim recourse from potential liable tortfeasors, who may very well be insured themselves). These have been the bulk of the insurance disputes in Denmark for years. Any disputes about mis-selling of insurance have been isolated occurrences. Recent case law has, however, cast light over subjects of general interest, such as limitation, direct actions and choice of law. In this chapter we focus on insurance disputes relating to coverage, illustrating the general principles of Danish insurance law and recent case law of interest. Danish insurance law primarily consists of the protective mandatory Danish Insurance Contracts Act2 governing insurance contracts.3 Like any other contract, insurance contracts are subject to the Danish Contracts Act governing general rules of formation of contracts, as well as general principles and doctrines of contract law. Reinsurance contracts are not subject to the Danish Insurance Contracts Act but are governed by general contract law. No statutory law provides rules specifically designed to resolve insurance disputes in courts. In Denmark, insurance dispute resolution is subject to the same procedural rules applying to any other civil law proceedings by way of the statutory provisions following from the Danish Administration of Justice Act4 or rules on arbitration. Many commercial insurance policies adopt arbitration. Arbitration taking place in Denmark is governed by the Danish Arbitration Act,5 which is partly mandatory. Arbitral decisions are not usually published. As the Danish Insurance Contracts Act mandatorily protects the insured, interpretation of an insurance policy is made in favour of the insured whether the insured is a consumer or a commercial party. Because of this, the burden of proof is on the insurer in many circumstances. In terms of triggering coverage, the burden of proof is on the insured, meaning that the insured must substantiate that the occurrence is recoverable under the policy. On the other hand, the burden of proof is on the insurer in terms of substantiating that the occurrence and subsequent damages are not recoverable under the insurance. disregard of the insured's duty to mitigate losses. On 30 September 1998, the Danish Supreme Court handed down a fundamental decision further elaborating on the understanding of the term 'gross negligence'.9 The matter concerned storage of a key to a safety box at an auction house. The auction house experienced a burglary and suffered a total loss of 1.7 million kroner. There were no signs of forced entry and the key was found sitting in the lock. At the time of the burglary, the key was stored behind books in a bookshelf in the same building as the safety box as it had for years according to information received from several former employees. The Danish Supreme Court found that storing the key under such circumstances leaving it highly accessible entailed such 'an obvious danger' in respect of the burglary occurring that the insured had acted with gross negligence, and thus cover was rejected in full. The burden of proof with regard to refusing or limiting cover in respect of establishing intent and gross negligence is always on the insurer, and according to case law, the requirements in terms of discharging the burden of proof are generally very strict. Fraud and misrepresentation are strong grounds for refusal of cover and may deem the insurance contract void, although these grounds are not the most frequently used grounds for dismissal of an insurance claim. According to Section 4 of the Danish Insurance Contract Act, the insurer is under no obligation to perform the insurance contract if the insured, when concluding the insurance contract, fraudulently gave untrue statements or concealed circumstances material to the insurer. Similarly, if the act or omission was of such a nature that it would infringe the general principles of good faith to rely on the contract, the insurer is also entitled to refuse cover. In cases falling outside the scope of Sections 4 (fraud) and 5 (good faith) but where the insured nevertheless has presented the insurer with incorrect information before the issuance of the policy, the insurer is further free from liability in the event that it is established that the insurer would not have assumed liability had the information provided been correct. Vice versa, if the insurer is deemed likely to have been willing to assume the risk, albeit on different terms, had the information provided been correct, coverage attaches to the same extent as it would have had the insurer assumed the risk against payment of a true and fair premium fixed on the basis of having received correct information. Another fairly common ground for refusal of cover giving rise to disputes is cases where the insured has participated in increasing the risk of the insurance event occurring. In such cases, the insurer is entitled to refuse cover pursuant to Section 45 of the Danish Insurance Contracts Act. Section 45 provides that cover may be refused if actions committed by the insured after the conclusion of the insurance contract increase the risk of a certain insurance event occurring. The right to refuse cover is, however, conditional upon the specific risk stated in the insurance contract and the insurer establishing not to have wanted to insure the risk under the given terms if the insurer had known about the circumstances leading to the increase in risk at the time the policy was concluded. the increase in risk must wilfully have been caused by the insured. Of practical relevance, Section 46 of the Danish Insurance Contracts Act states that if the insured becomes aware of such increase in risk and does not inform the insurer thereof, it is to be considered that the increase in risk was wilfully caused by the insured. Insurance claims are subject to the statutory provisions of the Danish Limitation Act,19 according to which claims are time-barred after three years, unless otherwise specified in other mandatory provisions. Insurance claims are furthermore subject to the specific rules on limitation provided for in Section 29 of the Danish Insurance Contracts Act, which provides exceptions to the general rule applying specifically to insurance claims.20 In particular, Section 29(5), which implies an extension of the limitation period of notified insurance claims, has recently been subject to interpretation by the courts. Relevant case law is elaborated upon below in the subsection 'Limitation according to the Danish Insurance Contracts Act'. According to Section 35 of the Danish Insurance Contracts Act, any legal interest capable of being financially estimated may be made subject to indemnification by insurance. Danish law does not elaborate on or define when an interest may be deemed insurable. Therefore, general moral principles are often applied as guidance providing that it is, for instance, not possible to insure losses resulting from own criminal offences, payment of fines, etc., just as sentimental value cannot be made subject to insurance. 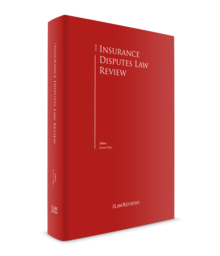 As briefly touched upon in the introduction to this chapter, insurance disputes are subject to the same provisions as other civil lawsuits. The relevant provisions are found in the Danish Administration of Justice Act containing, inter alia, rules on court structure and venue. Accordingly, insurance disputes are settled in the same way as other civil disputes. The Danish court system consists of 24 city courts, the Maritime and Commercial High Court, the High Courts of Eastern and Western Denmark and the Supreme Court. Provided that the claimant possesses procedural capacity, legal proceedings may be instituted by the filing of a writ of summons with the relevant competent court. Generally, the first court of instance will be the competent city court, unless the case, at the request of either of the parties or the city court itself, is referred to one of the two high courts. Referral is possible if the dispute in question is of fundamental legal importance and of general importance to the application and interpretation of the relevant law, or has significant societal implications in general.21 The Maritime and Commercial High Court is also regarded as a common court aligned with the city courts, albeit it is the only court in Denmark that specialises and therefore only deals with certain types of commercial cases, typically involving foreign parties, which are commonly seen in insurance disputes. Disputes brought before a Danish court are subject to the principles of orality and publicity.23 These principles imply that legal proceedings are mainly carried out orally24 in hearings open to the public.25 Danish procedural rules are furthermore based upon a principle of immediacy of evidence and the parties' right to dispose of the matter in dispute. The parties preserve the right to decide which evidence to submit or witnesses to hear, etc., and only limited means in respect of disclosure of evidence are provided for (as opposed to the full discovery principles applicable in other jurisdictions). Subsequently, the court is, in general, restricted to base its decision solely on the specific legal submissions and evidence presented by the parties.26 Furthermore, the parties may also decide to settle a dispute pending before the courts before the court proceedings are concluded. Expert opinions may be obtained unilaterally by one of the parties, or at the request of one of the parties to the court. In the latter circumstance, the court appoints an expert to perform an expert opinion based on the parties' mutual questionnaire to be submitted to the court. The use of expert opinions in court cases has until recently been limited to the use of court-appointed expert opinion as provided for in the Danish Administration of Justice Act.27 The courts put great emphasis and very often rely exclusively upon such court-appointed expert opinions to assess the facts when rendering decisions. On 1 July 2017, changes to the regime of expert opinions came into effect. The aim of the amendments was to make the rules more flexible, implying that a party may now request the court to commission an expert opinion based on a set of questions provided solely by one of the parties. The other party may then present its own set of questions to the expert.28 Furthermore, the material matter may be made subject to more than one expert opinion if the court finds it justified. With the amendments, extended access was introduced to request a new expert opinion (second opinion). The assignment can either be carried out by the same expert or another court-appointed expert. In addition, the parties may under certain circumstances submit expert opinions to the court on technical matters commissioned unilaterally by a party.29 Such expert opinions may, however, be dismissed by the court if deemed factually or scientifically unreliable or of no practical relevance to the case. In 2017, the average processing time of court hearings at the City Court of Copenhagen, including preparatory work, was approximately 10 months. For appeal cases pending before the high courts, the average processing time was approximately 12 months.31 For disputes pending before the Supreme Court, the average processing time was approximately 11 months. Notwithstanding the above, more recent cases show that owing to the increasing complexity of insurance disputes often involving foreign parties and substantial amounts of evidence, etc., these cases tend to take several years before the courts are able to hand down a decision. In 2016, a digital forum was introduced as a tool to legal court proceedings with the aim of, inter alia, conducting legal proceedings in a more efficient manner and thereby further reducing the average processing time of court proceedings. It is mandatory to use the digital forum when litigating before Danish courts. Furthermore, witness statements and participation in court hearings may take place by means of telecommunication (i.e., by video), depending on the decision made by the court. If agreed upon between the parties, insurance disputes may be made subject to arbitration proceedings. Arbitration clauses concluded between an insurer and an insured consumer will, however, only be given legal effect if concluded after the occurrence of the event leading to the dispute. If the arbitration clause has been adopted into the insurance contract, any legal proceedings instituted before the courts will be dismissed. This case concerned interpretation of principle of insurance cover applicable to damage sustained on a platform situated in the Danish part of the North Sea. Further, the ruling concerned interpretation of the insured's right of cost coverage for loss mitigation in case of an imminent damage (sue and labour coverage). The insured had taken out an all risk property insurance policy. In 2009, cracks were discovered in the structure of the platform situated at the oil tank located at the seabed, and a claim of US$383 million was filed against the insurers that issued the policies in force in the period from 1 January 2006 to 2009 when the cracks were first detected. Coverage was rejected by the insurers in full for several reasons. The main reason was that the claim had been filed against the wrong insurers, as the relevant point in time with respect to triggering cover was the occurrence of the initial root cause of the damage. This implied that the time of the first manifestation of the cracks was not the relevant point in time when determining cover under the policies. In 2014, the insured instituted legal proceedings against all the insurers before the Danish Maritime and Commercial High Court in Copenhagen maintaining the view that the insurance was an all risks insurance policy providing cover 'for loss of or physical damage . . . during the period', implying that the insured's burden of proof with respect to triggering cover was restricted to demonstrating that physical damage had occurred within the policy period in question. In November 2016, the Maritime and Commercial High Court in Copenhagen agreed that the principle of damage causation was the general main principle of cover of Danish insurance law (as argued by the insurers). This principle had, however, deviated from the wording of the insuring clause of the insured's policy to the effect that it was the occurrence and manifestation of the damage that was the relevant trigger of cover under the policy. The agreed wording of the policy therefore took precedence over Danish default legal principles concerning the allocation of damage to a particular policy period. The insurers filed an appeal with the High Court of Eastern Denmark, which overturned the decision of the Maritime and Commercial High Court in spring 2018. The High Court held that the relevant point in time triggering cover under the policy was the occurrence of the initial root cause of the damage regardless of the wording of the insuring clause and that the claim should consequently have been pursued under previous policies. Thus, the Eastern High Court ruled in favour of the insurers. Section 29(2)–(6) of the Danish Insurance Contracts Act deviates from the general statutory provisions of the Danish Limitation Act. Section 29(5) provides that claims filed against an insurer the earliest are forfeited either: (1) one year after the insurer has notified the insured of its refusal of cover; or (2) three years after the insurer accepts cover and requests more information to assess the claim. Consequently, the general three-year limitation period is suspended when filing the claim with the insurer (as opposed to when legal proceedings are instigated). Recently the Supreme Court elaborated on the interpretation of the provision in question by way of two cases. Both cases were heard by the Supreme Court as a third instance court upon permission from the Danish Appeals Permission Board. The Supreme Court rendered its first ruling on the interpretation of Section 29(5) in 2016.33 The Supreme Court found that the insurer under statutory law was obliged to indemnify the injured party directly (because of a statutory third-party access), and thus that Section 29(5) was applicable to the injured third party's claim against the insurer extending the limitation period for the injured third party's claim. Recently, the Danish Supreme Court advanced this interpretation further in the two following cases. This matter related to an injury for which the claimant sought to claim damages from the insurers of a policy taken out by the insured tortfeasor. The question became whether the claimant's claim had been forfeited even after the claim had been notified to the insurers. The claimant argued that the provision of Section 29(5) applied, thus extending the limitation period. The Supreme Court held that Section 29(5) applies in cases where the insurer is subject to a direct third-party action. As opposed to the case from 2016, no such direct third-party action applied towards the insurer. Thus, Section 29(5) applies to claims notified by the insured (in case of first-party insurance), and to claims notified by a third party only if such party has a statutory direct access to claim against the insurers. This case concerned two claimants having sued a real estate agent for negligence when facilitating the claimants' purchase of a house. The question brought before the Supreme Court was whether Section 29(5) applied between the claimants and the real estate agent (the tortfeasor) if a claim had initially been notified with the insurer. Under Danish law real estate agents are under an obligation to take out insurance implying that the insurer was subject to a direct third-party action. However, as the lawsuit had been filed against the agents (and not the insurers), the Supreme Court found that the wording of Section 29(5) and its travaux preparatoires did not contain any grounds implying that a notice of a claim to an insurer should suspend the limitation period between a claimant and the insured tortfeasors. Although the claimants had notified the claim to the insurer, Section 29(5) applied only in the relation between the claimants and the insurer. Since the court proceedings had been instituted against the real estate agents and not the insurer, the Supreme Court held that Section 29(5) did not apply. On 13 July 2017, the Court of Justice of the European Union (CJEU) handed down its decision in Case C-368/16, Assens Havn v. Navigators Management (UK) Ltd (Assens Havn). The CJEU held that a direct action can be brought against an insurer in Denmark if Danish national law so allows, despite an express jurisdiction clause in the contract referring disputes to the English High Court and an express choice of English law. Subsequently, the matter was brought before the Danish Supreme Court. The Supreme Court stated that, according to Section 95(2) of the Danish Insurance Contracts Act,37 an injured party is entitled to direct a claim against the insurer in Denmark if the insured tortfeasor is insolvent. The Danish Supreme Court's decision was recently followed by a ruling of the Danish Maritime and Commercial High Court on 10 November 2017. The case brought before the Maritime and Commercial High Court concerned a Danish branch of British American Tobacco (BAT) that entered into a contract of carriage with Exel Europe LTD (Exel) for the transport of a shipment of cigarettes from Hungary to Denmark. The carriage was performed by Kazemier Transport BV (Kazemier). In Denmark the goods were stolen during transport. Kazemier went bankrupt and BAT filed a lawsuit against Exel and Kazemier in England. The English courts dismissed the claim against Kazemier owing to lack of jurisdiction. BAT consequently brought a direct claim against Kazemier's liability insurer, Gerling Verzekeringen NV (HDI), in Denmark. The insurance contract contained a choice of venue and law clause stipulating Dutch law and courts. There is no legal basis for a direct action according to Dutch law. As in the Assens Havn case, the injured party relied upon Section 95(2) of the Danish Insurance Contracts Act, which in some circumstances allows the injured party to bring a direct action against the insurer of the insolvent tortfeasor. The court decided that Danish law was to apply in respect of the question of jurisdiction and found that Section 95(2) of the Danish Insurance Contracts Act allowed BAT to bring its direct action suit against HDI, in accordance with Article 13(2) and Article 12 of the Council Regulation.39 The court referred to the CJEU's ruling in the Assens Havn case and the fact that the jurisdiction agreement between the insurer and insured did not apply to the injured party. Thus, the injured party was entitled to bring proceedings against insurers in Denmark according to national (Danish) law. The Maritime and Commercial High Court noted, in line with the Danish Supreme Court, that the CJEU's decision to set aside the jurisdiction agreement was not conditional upon the injured party being financially or legally a weaker party. The fact that the injured parties were large international corporations had no bearing on the assessment. The jurisdiction of the Danish courts to settle insurance disputes involving an insurer situated in an EU Member State is regulated by the Brussels I Regulation,40 whereas the jurisdiction of the Danish courts to decide on the matter is regulated by the Danish Administration of Justice Act,41 provided that the company is situated outside the EU. Insurance disputes often involve parties from different jurisdictions. However, the Danish Insurance Contracts Act does not contain any provision stating to which extent the law applies to insurance contracts entered into with companies in foreign jurisdictions. Therefore, Danish private international law on insurance contracts is applicable. Choice of law clauses in contracts are usually governed by the Rome Convention.42 However, insurance contracts are governed by EU Directives.43 The directives have been implemented by a ministerial order44 providing that the rules of the EU Directives precede the choice of law rules laid down in the Rome Convention.45 Consequently, if the insurance company is situated in another EU Member State, the choice of law is governed by EU Directives, whereas the choice of law in respect of companies situated outside the EU is governed by the Rome Convention. Denmark has ratified the Convention on the Recognition and Enforcement of Foreign Arbitral Awards from 1958 (the New York Convention), which renders it possible to enforce foreign arbitral awards in Denmark. As of 1 September 2018, the new Hague Convention of 30 June 2005 on Choice of Court Agreements has been in force in Denmark. It matches the main structure of the New York Convention to the effect that foreign judgments rendered in countries that have ratified the new Hague Convention may also be enforced in Denmark. Because of the rules in the Brussels I Regulation regarding insurance contracts, Denmark and the rest of the European Union have agreed to issue a declaration46 in which they exclude cases concerning insurance contracts to ensure that the Brussels I Regulation will not be circumvented. As it appears from the above, recent cases have revolved around choice of law and jurisdiction clauses in insurance contracts and whether these apply to third-party actions. Owing to the bankruptcy of Gable Insurance AG and a Danish political agreement to intervene and protect 26,000 Danish home owners from being left without insurance coverage, the Danish Guarantee Fund for Non-life Insurance has initiated legal proceedings before the City Court of Copenhagen against the estate of Gable Insurance AG and others. The claim is announced to be 96 million kroner.47 These proceedings will probably comprise issues in respect of choice of law and how to apply international private and procedural law in cases where the insurance company is bankrupt. Further, a lawyer's report has pointed out that the management of the insurance intermediaries of Gable Insurance AG may be criticised for mis-selling. Thus, insurance litigation in Denmark may be taken to another field in the future. 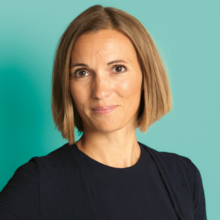 1 Anne Buhl Bjelke is a partner at Bech-Bruun Law Firm P/S. 2 Consolidated Act No. 1237 of 9 November 2015 ('Forsikringsaftaleloven'). 3 Furthermore, the financial and prudential regulation (the Danish Financial Business Act, Consolidated Act No. 1140 of 26 September 2017, and the Danish Insurance Distribution Act, Consolidated Act No. 1065 of 22 August 2013, including executive orders) governs insurance business and insurance distribution activities. Such regulation is often relevant in connection with insurance disputes, i.e., if the disputes relate to mis-selling, consumer insurance or distribution. As from 1 October 2018, the new insurance distribution directive is implemented in Denmark, cf. Act No. 41 of 22 January 2018. 4 Consolidated Act No. 1101 of 22 September 2017 ('Retsplejeloven'). 5 Act No. 553 of 24 June 2005 ('Voldgiftsloven'). 6 Section 18(1)-(2) of Consolidated Act No. 1237 of 9 November 2015 ('Forsikringsaftaleloven'). 7 In respect of life insurance and liability insurance, the policy shall cover in full even in case of gross negligence (Article 18 (2)), but not in case of the insured's intention (Article 18 (1)). 8 Supreme Court decision made on 22 June 1995 (U.1995.737 H). All judgments rendered by the Danish Supreme Court and decisions rendered by either the High Courts of Eastern or Western Denmark specifically selected are published and made publicly available on the courts' respective websites. Judgments are subsequently published on a privately owned platform ('Karnov') and initially marked with a 'U'. Reference to these 'numbers' will be made in the footnotes of this chapter. 10 Jønsson, Henning, Kjærgaard, Lisbeth, Dansk forsikringsret (Danish Insurance Law), 9th edition, page 452 and page 181. 13 Consolidated Act No. 1237 of 9 November 2015 ('Forsikringsaftaleloven') section 5. 14 Consolidated Act No. 1237 of 9 November 2015 ('Forsikringsaftaleloven') section 51. 15 Jønsson, Henning, Kjærgaard, Lisbeth, Dansk forsikringsret (Danish Insurance Law), 9th edition, page 396. 17 Consolidated Act No. 1237 of 9 November 2015 ('Forsikringsaftaleloven') Section 52(2). 19 Consolidated Act No. 1238 of 9 November 2015 ('Forældelsesloven'). 20 Consolidated Act No. 1237 of 9 November 2015 ('Forsikringsaftaleloven') Section 29(2)-(6). 21 Consolidated Act No. 1101 of 22 September 2017 ('Retsplejeloven') Section 226(1). 23 Act No. 169 of 5 June 1953 the Constitution of the Kingdom of Denmark ('Grundloven') Section 65. 24 Consolidated Act No. 1101 of 22 September 2017 ('Retsplejeloven') Section 148(1). 31 Cases transferred to the high courts pursuant to section 226(1) of the Danish Administration of Justice Act had an average processing time of 22–36 months. 32 The Maritime and Commercial High Court's decision in case S-2-14 of 15 December 2016. 37 Consolidated Act No. 1237 of 9 November 2015 ('Forsikringsaftaleloven'). 38 The Maritime and Commercial High Court decision on 10 November 2017 in Case H-93-16. 39 EU Regulation No. 1215/2012 of the European Parliament and of the Council of 12 December 2012 on jurisdiction and the recognition and enforcement of judgments in civil and commercial matters. 40 EU Regulation No. 1215/2012 of the European Parliament and of the Council of 12 December 2012 on jurisdiction and the recognition and enforcement of judgments in civil and commercial matters, Article 11(1)(b) and Article 10, cf. Article 7(5). 41 Consolidated Act No. 1101 of 22 September 2017 ('Retsplejeloven') Section 246(1). 42 Convention No. 80/934 of 19 June 1980 on the law applicable to contractual obligations. 43 Directive 88/357/EEC of 22 June 1988, Directive 92 /49/EEC of 18 June 1992, Directive 90/619/EEC of 8 November 1990, Directive 92/96/EEC of 10 November 1992. 44 Ministerial order No. 560 of 27 June 1994. 45 Convention No. 80/934/EC of 19 June 1980 regarding choice of law, Article 4(1). 46 Hague Convention of 30 June 2005 on choice of venue agreement, Article 21. 47 http://skadesgarantifonden.dk/ Press release of 12 January 2018.